Though heavy users are more likely to use ad blockers, they are also significantly more likely than the average internet user (30.9% vs. 18%) to say advertising is important to their purchasing behavior, according to Kantar Media’s new Dimension study. The research, which was conducted between Nov. 30 and Dec. 12, 2017 among 1,000 Americans, also shows that heavy internet users are more likely (57.3% vs. 40.7%) than the average consumer to agree that tailored ads are more interesting than other ads and are also more likely (40.9% vs. 26.2%) to agree that providing websites with personal information is worthwhile to see more relevant advertising. Additionally, the study indicated that although 40.7% of internet users agreed that tailored ads are more interesting, only 26.7% think more advertising should be specifically targeted toward them. Elaine Chen, VP, Marketing Communications North America at Kantar Media shares her thoughts on the study. Q: Can you break down the study? What did you hope to achieve from the study and data collected? A: With our focus on media measurement and monitoring, it’s critical for Kantar Media to understand the broader trends in advertising. With DIMENSION, we take a look at two sides of the coin for the advertising industry: consumer attitudes and behavior and industry leaders’ insights and perspectives. We conducted surveys and executive interviews in five different countries – the US, UK, Brazil, France, and China – to get a global pulse on the sector. Q: Were you surprised with the results of this study? Were they different from what you expected? A: We found that consumer opinions are fairly positive when it comes to advertising: A third of those we surveyed worldwide agreed that advertising is changing for the better, and 71% agreed that advertisers are doing a better job communicating to them than in the past. Ad blocking is one topic where we saw some interesting findings. Comparable with last year, 21% of consumers we surveyed stated that they “always” use an ad blocker, with 33% stating they “sometimes” use one. Meanwhile, 44% of those who “sometimes” used an ad blocker stated this depended on the device they were using, with most more likely to use ad blockers on PCs. Other experts felt that blocking is a reflection of advertisers not working hard enough to deliver a positive experience to consumers. Indeed, our study found that repetitive, intrusive and irrelevant ads were contributing to consumers having more negative impressions of advertising, and in turn being more likely to block ads. Q: How are heavy internet users influenced by ads despite blocking them? A: While consumers could always change the channel, flip the page or walk out of the room, ad blocking is primarily used in digital channels. That’s why a multimedia strategy is likely the most effective, particularly as it is consistent with how consumers are experiencing media today. The same consumer that is blocking all ads delivered via PC or phone might actually be interested in watching a high-profile Super Bowl ad or brand-new movie trailer, giving advertisers another way to break through. Ad heavy internet users are also often big fans of social media, providing other avenues for promoting products, through sponsored blog content and influencer campaigns. Q: Do the devices that users are on have an impact on their tendency to be influenced by ads? A: As mentioned, the real key is advertising through multiple channels. It’s the best way to break through the advertising clutter consumers are confronted with today and make a real connection. Context also matters too: Someone who’s trying to quickly look up an address on their phone when they are running late will be annoyed by being forced to view an ad; but that ad might be a lot more effective when the same person is swiping around while waiting in a line or on the morning commute. Q: Based on these results, how should advertisers respond? Should they alter their strategy? A: I’ll quote one of our leaders here. Paul Gaytner, planning partner at UK media agency Goodstuff, observed that you can get consumers to stop blocking ads “by being brilliant, by being useful, by being entertaining.” More than ever, brands need to earn their share of consumers’ time and attention by delivering compelling, relevant messages at the right time and through the right channels. It’s not an easy task, but there are more tools and data than ever to help you find the right combination – if you use them properly. Elaine Chen is the Vice-President of Marketing Communications for Kantar Media within North America and in this role is responsible for marketing and thought leadership initiatives across Kantar Media’s intelligence offerings. 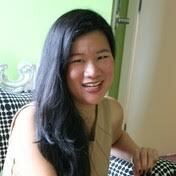 Before joining Kantar Media, Elaine previously served as a VP of Marketing for Nielsen’s emerging panel offerings. She has also driven marketing efforts at web content management provider FatWire Software as well as financial information provider Roubini Global Economics, in addition to serving as a creative supervisor at Wunderman. Elaine has an undergraduate degree from Harvard University and a law degree from Fordham University. Previous articleSocial Media Marketing for Small Business: What You Need to Know?